The Department of Revenue would like to welcome Peggy Laurenz. Starting after Legislative Session, Laurenz will take over as Director of the Division of Motor Vehicles (DMV). Peggy Laurenz grew up on a ranch in North Central South Dakota, attended Northern State University, majoring Business Administration. Laurenz has been been in state government for 26 years mostly working in Human Resources. She specializes in all areas of human resources including staffing, employee relations, legal compliance, corrective action, rewards, compensation and succession planning. Currently, Laurenz is shadowing Deb Hillmer. Hillmer has been the Director of DMV for over 40 years. A new self-service terminal (SST) is up and running in Yankton! SDDMV currently has nine self-service terminals (SST) and the tenth will be at the Hy-Vee Food Store located at 2100 Broadway Ave in Yankton. Each SST is a fully automated motor vehicle registration renewal station and dispenses license renewal tags on the spot. A vehicle owner can navigate through the easy touch screen (voice assistance available) with a valid South Dakota driver’s license, South Dakota identification card, or if a company, the information provided on its renewal notice. Once the payment has been submitted and the transaction is completed, the license renewal tags and vehicle registration are dispensed directly from the machine. The SST allows vehicle owners to register up to 90 days prior and 30 days after the expiration of their current license tags. Certain boat and snowmobile renewals cannot be done on-line at this time. Address changes must be made through the applicant’s county treasurer’s office prior to renewal. A $2 convenience fee per vehicle is assessed. Acceptable forms of payment include electronic check, credit cards (MasterCard or Discover only), or ATM/debit cards supported by Pulse, Star, NYCE and Accel. For more information on vehicle registration renewal, contact the South Dakota Division of Motor Vehicles at 605-773-3541 or visit the website or www.SDcars.org. Would you like to receive an allowance for paying your taxes? Then, sign-up for a Collection Allowance starting January 1, 2014. The collection allowance applies to all taxes reported on the sales tax return form including sales tax, use tax, tourism tax, municipal sales taxes, telecommunications gross receipts tax, excise tax on farm machinery, amusement device tax, motor vehicle leasing tax, intermediate care facility tax, Sioux Falls lodging tax and tax collection agreement taxes. You will have to file and pay your sales tax returns electronically and on time to receive this. The Allowance is 1.5% of the tax due, not to exceed $70 for each reporting period. Allowances are not given on Contractors' Excise Tax returns. No Allowance for licensees that are past due on: Sales Tax, Contractors' Excise Tax, Motor Fuel Tax, or 911 Surcharge account, or that file paper returns. Find out more information about electronic tax filing here. Licensees who have outstanding tax returns, who have outstanding tax balances due to the Department or those that do not file and pay electronically will not receive the allowance. In addition, the allowance does not apply to contractors’ excise tax returns. Do you have questions on electronic tax return filing or the collection allowance credit? 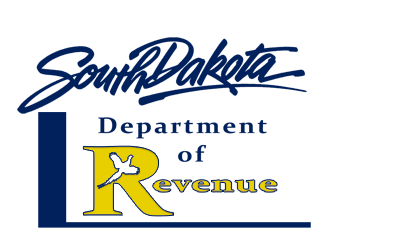 Contact the South Dakota Department of Revenue at bustax@state.sd.us or call 800-829-9188.